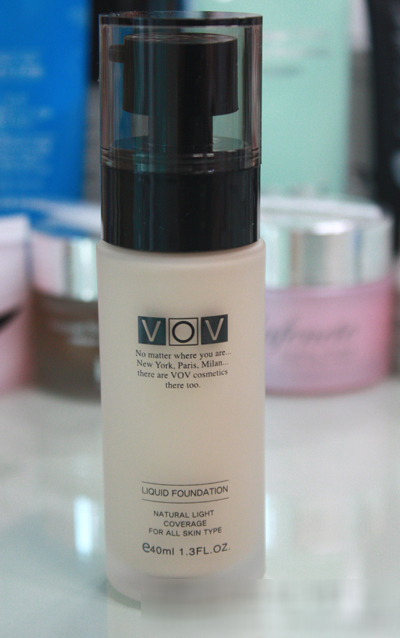 This is VOV Liquid Foundation, which is known to be cheap and have outstanding performance considering its price. 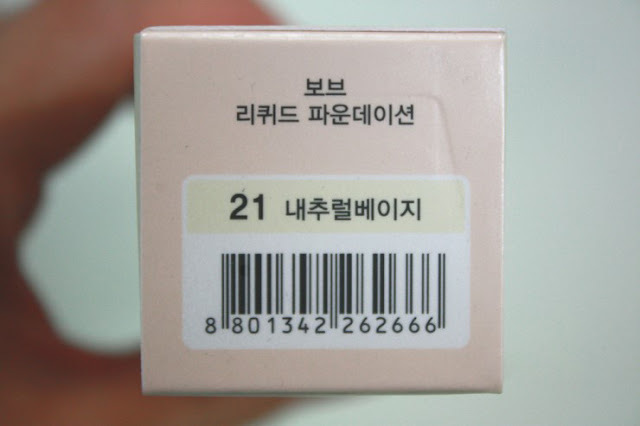 The product is divided into three types : No.21 Natural Beige is the brightest color and No.24 is the darkest. You can use them according to your skin color. Even though I should be using No.23, which would be the product for those who have ordinary skin color, I use a brighter product because I like brighter make-ups. And that's why I chose the No.21 natural beige for the liquid foundation as well. The simple product overview, the method for the use and the ingredients are described on the back of the case. 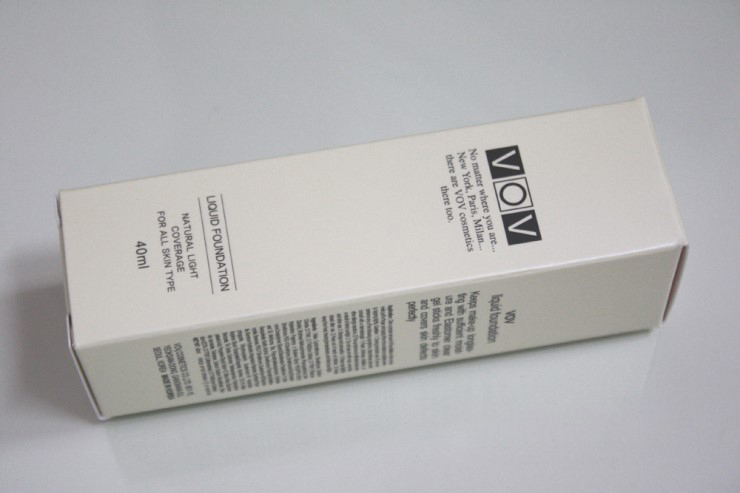 The volume is 40ml, which is quite similar to ordinary BB creams and foundations. Let me open the case! It is a foundation in a pumping glass case. It is quite heavy because it's made in a glass case. But, the glass case provides a sense of luxuriousness! 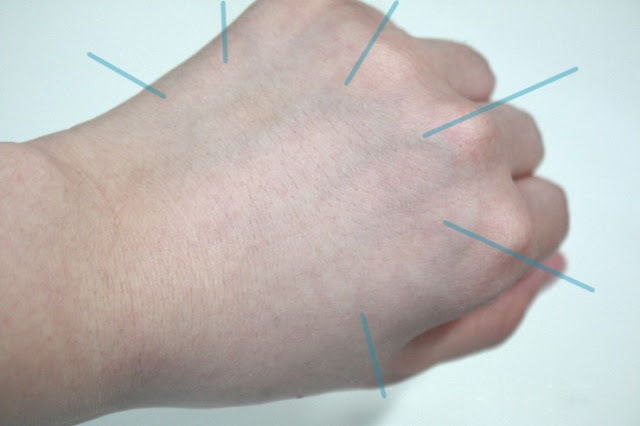 This is how big it is when placed on top of your hands. You can see the number and the color of the product on the bottom. 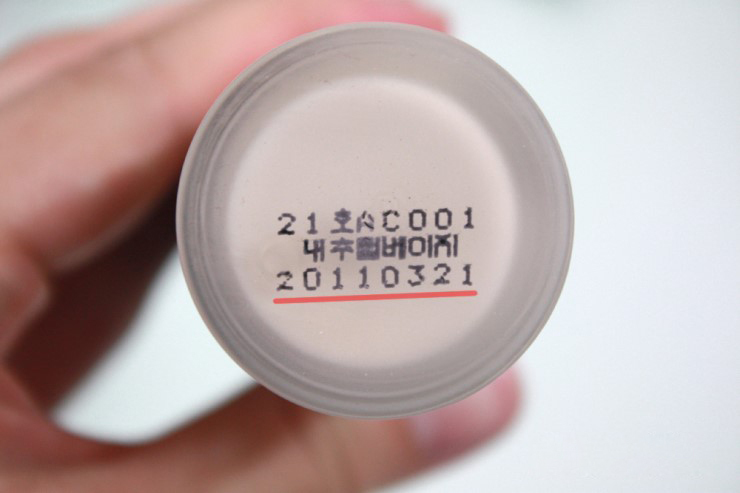 The manufacturing date is also displayed here. it doesn't show the recommended time for use after unsealing. and the lid looks like this. it would have been better if it was in an oval-shape with a bit of elevation. Now, take a look at the body when opened up. 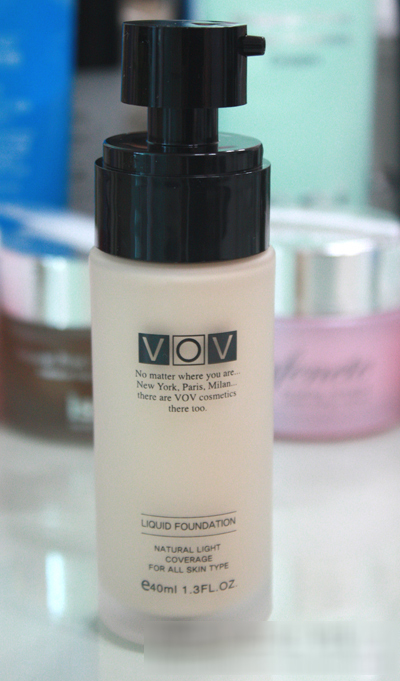 VOV Liquid Foundation has an amazing covering capabilities for blemishes, moisturizing effects like a moisturizing essence. 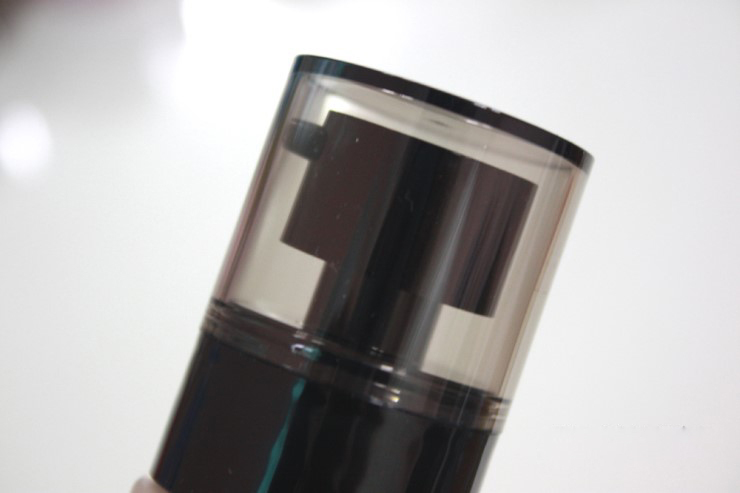 It is extremely light on the face and it helps you to create a transparent face. I compared the colors with the other BB cream I am using these days. The No.21 seemed to be quite bright in my eyes, but it didn't make much difference after all. It would be okay to use no.21 if you have a normal skin for a bright expression of the skin. 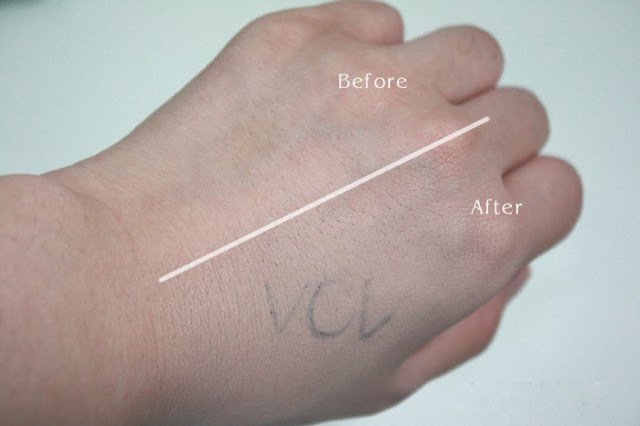 In order to test its covering capabilities, I first drew the VOV with a black pencil eyeliner and re-applied the liquid foundation on top of that. I tapped it very gently so that the word didn't erase, but the V erase a bit. It seemed to have its covering capabilities to a certain extent, but it's not that perfect. Therefore, you shouldn't expect it to cover up all the mess on your face if you have lots of blemishes, dots or freckles on your face. If you do have a lot of mess on your face, you should use a concealer separately. It may not be very satisfactory for those who do thick make-ups, but it would be quite good for those people who like transparent make-ups. 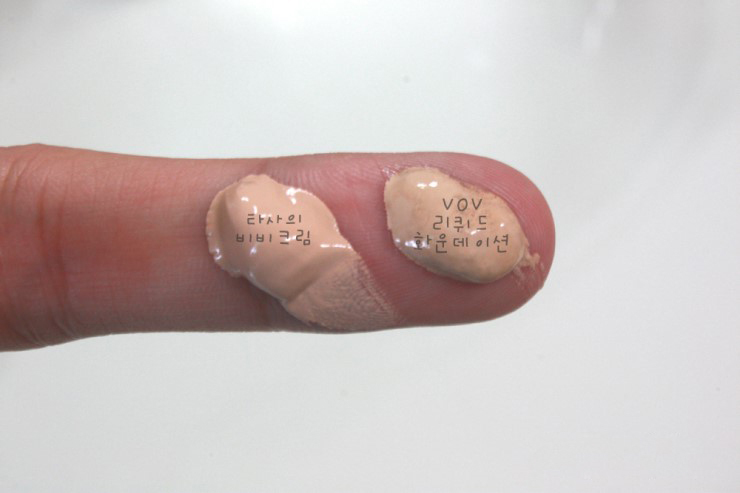 (Transparent make-ups are most popular these days!) For me, this much covering capability is more than enough. It creates a glossy and natural skin tone to the extent that the hand with the foundation and the hand without it do not make much of a difference, and its covering capabilities covers up the blemishes to a certain extent. I applied the liquid foundation on the back of my hands and wash it off with a foam cleanser only ,skipping the other cleansing products, and it washed off very cleanly without leaving any residues. I am pretty satisfied with the cleansing effect. In the overall sense, I have a normal skin color and my skin is a bit red after washing my face. My face does not have blemishes that can be easily spotted, but the tone of the skin isn't very even and I am a bit worried about the pores as well. 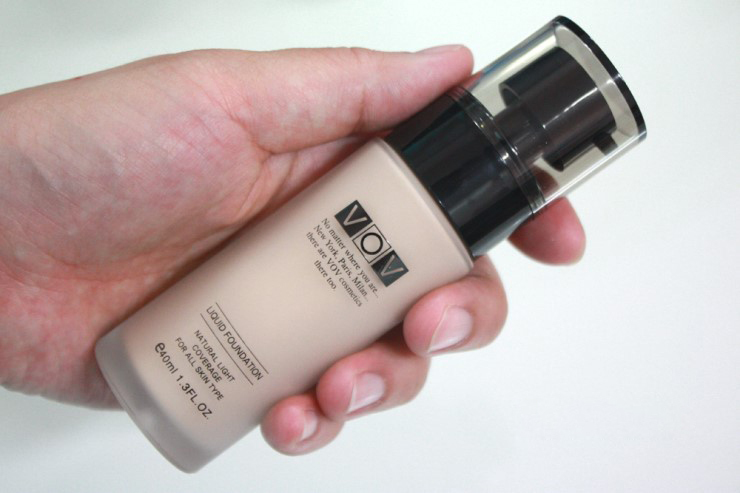 After using VOV Liquid Foundation, it was really good because it has made the skin tone very even and generally covered the unevenness. 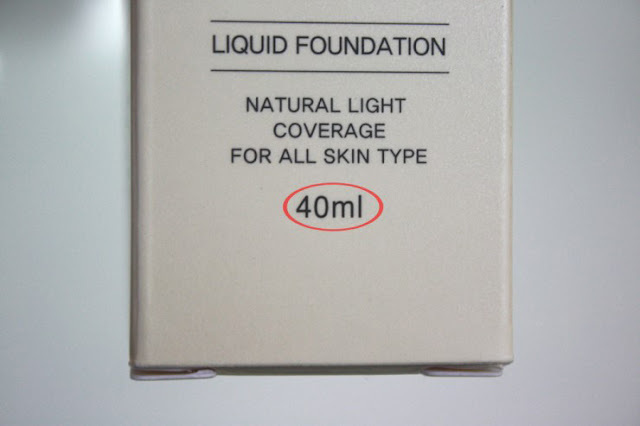 The best thing was that it didn't have much oil and that is why this is a product that I want to strongly recommend for those who are looking for foundations that provide much refreshment. It would match very well for those who begin to have oil on their faces after some time from finishing the make-up. But those who have dry skin would probably feel the dryness because there isn't much oil in it. 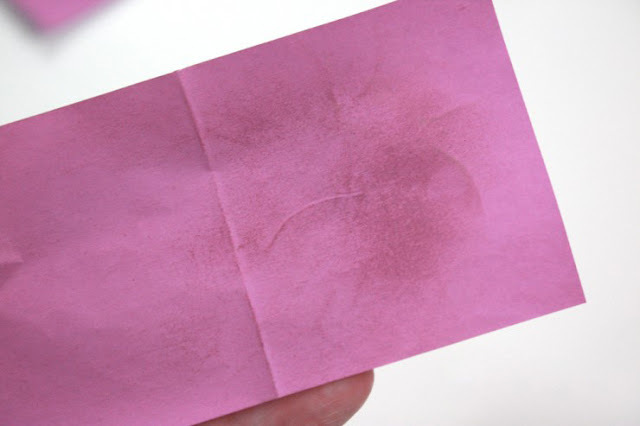 This is the oil paper that's been rubbed on my face 3 times after some time had passed after applying the liquid foundation on my face. That's not too much oil, right? It didn't have much oil as compared to other BB creams that I've been using. Everyone could be loved this product when they use it.